The world’s largest community-driven hospitality platform, Airbnb, is partnering with the Ocean6 Series to encourage locals and supporters of the Surf Life Saving movement around Australia to become hosts on Airbnb. 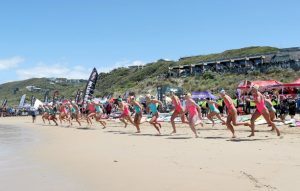 Airbnb will play a vital role in meeting the accommodation needs of athletes, officials and their families at each of the six Ocean6 events this summer, as elite life savers go head to head across the east coast of Australia. 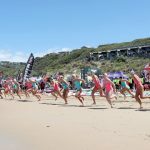 The Ocean6 Series kicks off later this month, with the first round due to take place in Queenscliff, New South Wales on 20 October. For every new Airbnb host to sign up through the Ocean6 partnership, $100 will go towards the local surf lifesaving club of their choice. athletes and officials regularly using the home sharing platform during competition. Ocean6 General Manager, Trent Goulding, welcomed the partnership as a great way to support local surf clubs along the coast. The Airbnb host community is broad and diverse and among Airbnb’s 5+ million listings and over 15,000 Experiences are a growing collection of surfing-friendly homes and surfing-based excursions. The healthy travel provided by Airbnb—travel that is local, authentic, diversified, inclusive and sustainable—is making it easier and more affordable for surf life savers and surfing enthusiasts around Australia to follow the competitive circuit. At the same time, the communities along the circuit are able to benefit economically through Airbnb by earning supplemental income while sharing their homes and passions. “Surf life saving and surfing are woven into the fabric of Australian culture. As surfers and fans of the sport know, many of Australia’s best surfing breaks lie beyond traditional tourist hotspots, making finding nearby accommodation difficult or prohibitively expensive during peak season, not to mention the rush for housing during a surf carnival. Surfing is an increasingly popular driver of Australia’s coastal tourism and the need for accommodation is only continuing to grow.